The new normal this winter is anything but. In what was likely one of his more lucid moments, gonzo journalist Hunter S. Thompson famously stated that “When the going gets weird, the weird turn pro.” I’ll bet he never imagined someone applying it to backcountry skiing, but that is exactly what I’m doing. The snow pack is so weird—and in a bad way—right now across most of B.C., and has been uncharacteristically so in the south Coast Mountains, that no one who ventures out of bounds at a resort or into the backcountry can do so without having some degree of professional avalanche training or understanding. To do otherwise is foolhardy at best, irresponsible in the mean, and a death warrant at worst. 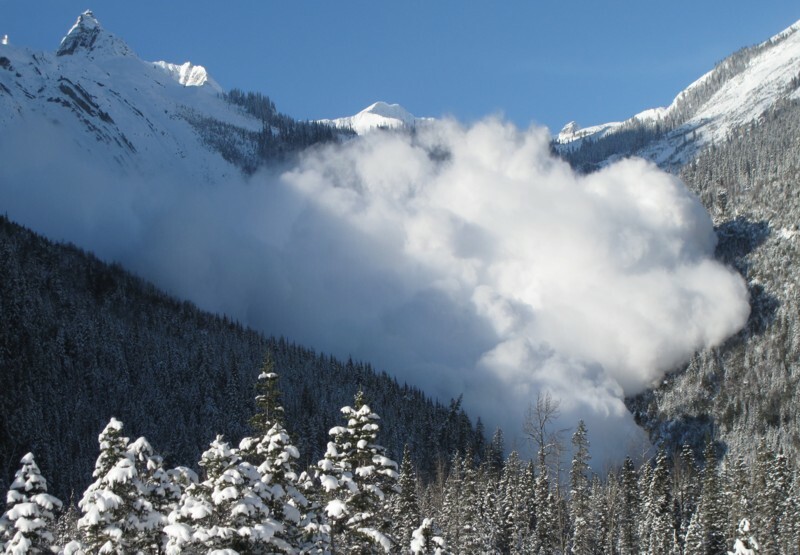 The Canadian Avalanche Association is doing an amazing job of its continuing public education and warnings about the conditions, and the media in the province is meeting the responsibility of broadcasting these bulletins. The cognoscenti are lighting it up on Twitter and even Facebook is pulling its weight. Some people, however, as evidenced by recent accidents and deaths, aren’t getting the message. So the best cautionary tale I can offer is, well… a true cautionary tale. Seems like a pretty clear message. We are careful, Shane and I, as we creep onto the slope. We aren’t supposed to be here, off-piste in Naeba, Japan, where Scarecrow ski-patrol dolls propped in the woods warn trespassers away. But fresh snow and steep, widely spaced hardwoods are irresistible. And we have been here before. Just like this. We dig a pit, see the snow is stable. “We have to do this,” insists Shane. This is what I remember: I am skiing. So deep all you can do is steer. Ben is somewhere to my right. Flip to his. We’re spread out, neither worried nor vigilant. Our packs are in the lodge. This is how it begins: The sardonic maw of a large sinkhole forces a sweeping right hander. Out of the corner of my eye I glimpse Ben’s head barely protruding from the snow. It doesn’t seem right. Has he fallen? I continue my turn toward him. Then stop. Where is he? Years ago, with a powder-addled horde of gaijin, we’d skied the bottom part of this slope all morning with impunity and stability. We’d eyed the steeper, untracked, upper face as snow piled deeper, but it was a more brazen poach, and in the end only we three had been up for it. One last run. 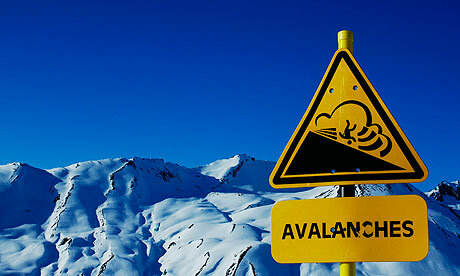 A dangerous slope in dangerous conditions. Thermal vents and uneven terrain. Objective hazard. This is what I see: Snow flowing past the tips of my skis. Deep and fast like a river. I am on the bank, tips hanging out over it. I can’t find the other side in the dim light and falling snow. Everything is the same color. This is what I hear: Sand running through a timer. A shower of glass beads. Louder as I become aware. Ethereal. From within the flow, other sounds struggle outward. More tangible. Resonant. Irregular. An axe hitting a tree. Persistent clattering. Metal on metal. On fiberglass. On wood. Muffled. Distant. Ugly. Ending. Stillness. I follow Shane’s lead through the murk, feeling more than seeing his movements. A full body memory; I’m on a familiar ride, but the landmarks are like facsimiles in a wax museum. Until now, I’ve kept myself from remembering details in favor of vague platitudes sufficient to gloss over the story in barroom recounting. Rancid bravado of the guilty. Like a battlefield, being here forces remembrance. This is what I do: Realize. Push into the channel the snow has vacated. Ski the polished running surface, knowing that we should have known it was there. Hear muted bursts of Ben’s name swallowed by falling snow. Know some of these are mine but understand, somehow, he won’t answer. It’s a long way down. This is what I find: Snow pooled like a lake full of porridge. Rubble. Fifty metres across, a meter deep. I’m on the leading edge. Silence. Except Ben’s name echoing with metronomic regularity. And no reply. This is what happens: I tear off my transceiver. Press buttons. Error message. Try again. Same thing. I am panicked. Hear my heart, register shaking hands, tell myself to breathe. Control. Press the right button. A signal. He is here. In front of me. Shane and I ski away from the open and into denser trees, stopping on a large convex roll. Predictably, snow collapses around us. This is where it started; Flip had skied across the top and Ben below; the section between them letting go. Still, it seems too innocent. I search for an obvious lane through the trees. There are many. All the same. I hear something and glance up abruptly, sucking in air. Nothing. When I turn back Shane holds my eyes in his. Knows. “Wind,” he smiles softly, dropping in. This is how it ends: On my knees. Tearing at chunks of snow with stone hands. I find blood-matted hair, but no skull below, like a scalp tossed aside in a Wild West raid. To the side a head pushes up. Groans. Semi-conscious. Shock. Dig him out. Flop the scalp back on and pull my hat over his head to hold it in place. The face is a mask of blood, chin hanging off. Flip arrives. We prop Ben against a tree and Flip holds him steady, keeps talking; I ski off through the nightmare for help. It takes an hour and everything I can muster, but Ben lives. Years later, I’ll know I was terrified. We go in sections, alternating leads, ending at safe zones. The way we should have done all those years ago. A handful of these, a hundred turns, and our last few dolphin leaps carry us onto the bench where the slide had pooled. An incredible run by any measure, but I’m spent in an unfamiliar way, and realize I’ve been holding my breath. There’s a vague urge to celebrate—not so much descent as the purge of repression—yet chatter seems violate. We remain quiet. Snowfall closes in. “You had to do that,” says Shane, finally. “Yeah,” I agree, sure now, breathing deep, knowing Ben will understand.